The European Union on Sunday reached an agreement with the Malian government aimed at enabling the return of migrants who have reached Europe’s shores, and whose asylum requests have been refused. “It is the first time the EU establishes such a precise mechanism with an African country with regards to returning failed asylum seekers,” said a statement from the Dutch foreign ministry, which signed a joint declaration on the EU’s behalf. The declaration seeks to fight “the root causes of illegal migration” and to “enable the return from Europe of Malian migrants”, the statement said. The agreement came after a summit in the Maltese capital Valletta in November 2015, when EU leaders agreed with their African counterparts to set up a 1.8-billion-euro ($1.9-billion) fund to help address the root causes of migration. In return, African countries would step up border controls and accept the repatriation of those who make it to Europe but are judged to have no right to remain. The EU-Mali declaration lays the foundations for schemes to help young people find work, and seeks to strengthen the country’s security forces. In addition, Mali and neighbouring states are expected to step up the fight against people-smugglers while improving their border security. A total of nine projects, with a budget of 145.1 million euros, were adopted. Under the declaration, “Malian civil servants will travel to EU member states to help determine the identity of migrants, in order to accelerate their return,” the statement said. 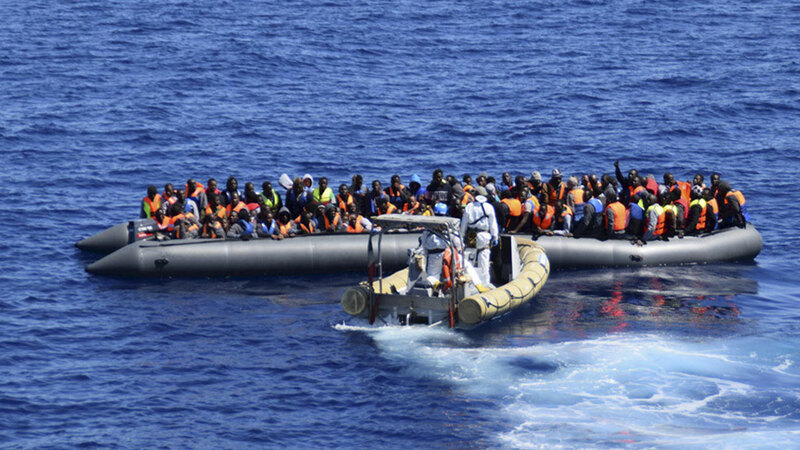 The number of migrants from African nations — including Mali, Nigeria and The Gambia — who risk their lives at sea in a desperate bid to reach Europe has increased considerably in recent years, official figures show. The EU-Mali agreement, which will be presented in Brussels on Monday, is “necessary”, according to Dutch Foreign Minister Bert Koenders, whose country held the EU’s rotating presidency earlier this year. “Young Malians have so much to give to their country. We must help stop Malians travelling to North Africa or Europe from losing their lives or falling into the hands of people smugglers,” he added.